Children’s feet grow so quickly which means they go through shoes at an alarming rate! It’s important to regularly get your children’s feet measured to make sure they aren’t pinching or too loose. Blisters and bunions are no fun and can be avoided with shoes that fit properly. First things first, get your kids feet measured by a professional. Your children are running around, exploring, and walking. Their footwear needs to be comfortable and durable. A professional will be able to give you an accurate size and style of show to suit your child. Your children’s feet can grow up to two sizes bigger within a year! So it’s vitally important to get measure regularly. A professional will be able to tell you, but bear in mind the style you buy. Your child may be keen on the cute design, but they need to be practical too. Heels, over an inch high, are going to affect the way your child walks. Over time your children’s feet may develop blisters. More seriously, if they wear heels too high this can lead to changes in the bone. This could make it difficult to walk normally in the future. Fendi baby shoes are a good option. They have some good slip on shoes and pumps that are fuss-free. If you notice there is more wear on one side of the shoe, or the shape of the shoe is slopes, it could indicate your child’s putting more pressure on certain areas. A trip to a podiatrist will be able to tell if there’s anything that needs correcting. For all children barefoot is best, but especially babies. Letting babies crawl around your home without shoes on is a good idea. It allows muscles to develop correctly and also gives skin the opportunity to breathe. For those who’ve not yet learnt to walk, the feeling of the floor beneath you is a good aid to learning. 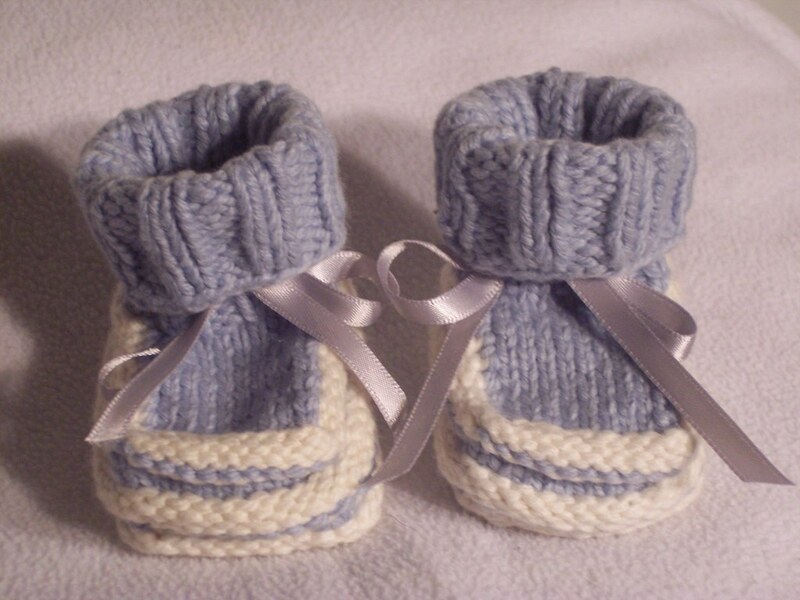 Make sure you’re baby’s socks are made of the right material and fit correctly. They really should be made of 50% wool or cotton. Young feet are extremely soft and pliable so be careful about squeezing feet into socks that don’t fit. Another thing to consider is your young child’s foot hygiene. Feet should be washed and dried thoroughly on a daily basis. If not the spaces between the toes could become infected and lead to athlete’s foot or other infections. Toenails should also be trimmed to make sure that shoes and socks aren’t rubbing against them and causing pressure. This last week, Chris received some new shoes. Those of you who know Chris personally, will know that he pretty much LIVES in boots. As a motorbiker, ninety percent of the time, Chris needs his sturdy boots for riding his bike. However, in the very small percentage of the time that he isn’t in boots, you can usually find him in trainers. As such, it was quite a shock when he picked these shoes from Label J, care of Jacamo. In fact, both the girls seemed stunned that they belonged to him. Lily even commented that they looked like a family friend called Adam’s. The shoes are Lace Up Pumps* that retail at £28. They are so far removed from anything I have seen Chris wear before. However, I was genuinely shocked at how much they suited him! As were the girls. In fact, he’s barely been out of them this week, since he has a week off! They are light weight and comfy. In a black colour they pretty much go with everything and as I pointed out to him – they will be perfect for when we go to Florida. The site they came from, Jacamo, has a great choice of shoes, from these type of pumps, to boots, to smart shoes. The site is easy to navigate, easy to search and great for filtering down your choices. Chris is very happy with his shoes and I’m happy that we’re one step closer to having clothes ready for Florida – especially as it didn’t involve me sewing anything! It’s been a great week! As I write this, I’m looking back and thinking how its been a great balance of relaxing, plus getting out and about! Yet another week of school holidays have passed but its a lovely feeling to know there are several more to go! Monday started off with a family day out – my mum, the girls and I – to Warwick Castle. I’d gotten free tickets with my Sun+ Perks and so we headed out together for the day. It was breath-takingly beautiful at the castle, though mostly the grounds. I took so many photographs, though I have to admit that once we got into the castle itself, it did feel a little too comercialised. The girls seemed to enjoy the day and both left with a quill pen they bought themselves and a bow and arrow that I treated them to. I’m sure Lily thinks she’s Merida now! Tuesday was a relax day. The girls and I didn’t do very much – in fact Megan spent pretty much the whole day Facetiming one of her friends. It still blows my mind how that’s even possible these days. Lily and I watched 3 movies, back to back; The Swan Princess, Tinker Bell and Princess Lillifee and the Little Unicorn. In the evening, Nat came around, and it was good to catch up! Wednesday was another fairly quiet day. This time though, the girls and I headed out swimming. We’d been promising to go ever since school broke up but with one thing or another, we just hadn’t got around to it. We had a lovely swim and afterwards I treated the girls to their first proper Subway. We did some shopping in the afternoon and then headed home. Lily wanted to watch The Incredibles and amazingly Megan chose to come off her computer and watch it too. In the evening, my brother and our friend Jon came around to play a board game. Chris had bought the Firefly board game at LFCC and so we all sat down to play that – I even let Megan stay up for it. We ploughed our way through 5 bottles of wine and had a great night! Thursday the kids were going to their dad’s, though he doesn’t usually arrive until almost lunch. However that seemed to put a stop to us really doing anything, just waiting for him to come and get them. We did of course pack up their bags and just hang out together. Once the girls were gone, I’d had lots of intentions of getting things done. However when the time came, I just wanted to mong! I finished watching Gossip Girl, season 5 and 6 which I had been making my way through for the last week or so. I then moved on to catching up on Misfits, only to realise I’d seen them all. Next I tried 90210 but that was only the first 4 seasons and I’d seen them. Finally I decided to just watch some movies and ended up watching The Big Wedding and Love and Other Impossible Pursuits. As well as watching A LOT of tv, I also caught up on the internet world and my blog. It was a nice day in the end! Saturday and this time Chris was at work all day. We’d asked my mum if she wanted to come over and go swimming with us and so at about 10.30am she arrived. We headed out swimming and Lily made some good progress, managing to swim under water, even though she didn’t seem to be able to on top of the water. I managed to figure out why Megan was having so many problems swimming, and we tried to work on that too. After swimming, we stayed at the leisure centre cafe for lunch. It was pretty simple, not much choice, but nice enough. We headed back to our house and mum tried to take Megan out on her bike. Sadly there wasn’t much more progress and then it started to rain which put an end to it anyway. The girls and I relaxed for the rest of the day and I watched Short Circuit 2. Once the girls were in bed I sat down to just watch more tv and wait for Chris to get home. Finally came Sunday and as we’d arranged for mum to come and go swimming with us again, we didn’t bother to get dressed until after lunch when we could put our swimming costumes straight on. To be honest, we didn’t really do anything all morning. However after lunch we headed out swimming again. I bought the girls a pair of goggle each as they’d struggled with sore eyes the day before. Lily officially became able to swim. It’s still under water but she’s managing almost a full width now. Megan also improved, finding that her style and form is much better under water, just like Lily. After swimming we headed to Morrisons for some shopping and then mum came back for a cup of tea. After she left, we got ready for the girls to go to their dad’s again, then had dinner and just waited for him to arrive. Once they’d gone, I again settled down with my laptop and the TV as company. I spent majority of the evening, chilling out and waiting for Chris to get home from work. It was a great week and I’m hoping for another to come. I don’t think we have anything at all planned for this week so I guess we’ll just see what happens!